StreetWires ZeroNoise NoiseKiller Sound Dampening Mat is designed to reduce vibrations, rattles, and road noise in your vehicle so you get the most out of your audio system. 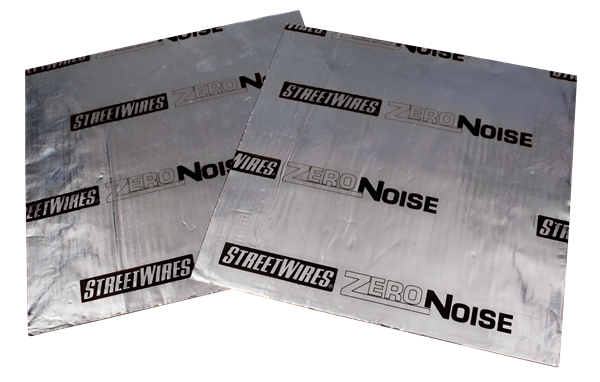 Available in five different kits, the Noise Killer mat is easy to install and a must have for any audio enthusiast looking to increase the sound quality of their system. Sheet Size 12" x 24"